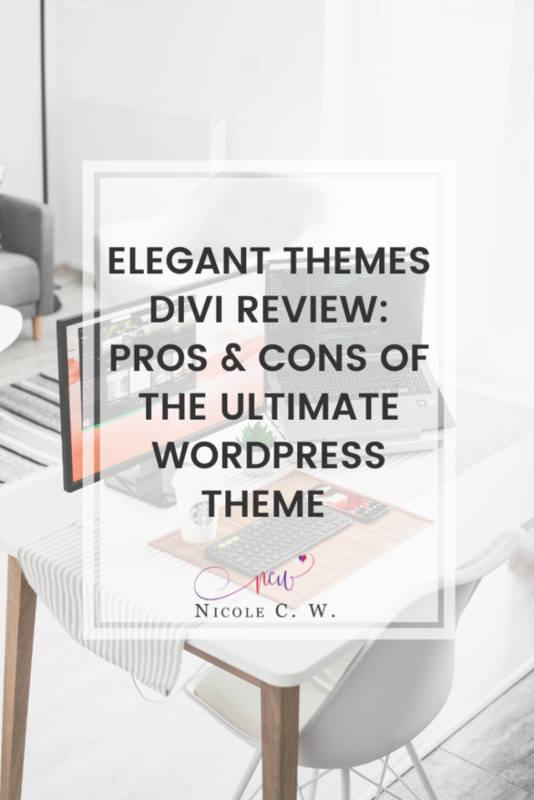 Elegant Themes Divi Review: Pros & Cons Of The Ultimate WordPress Theme | Nicole C. W.
So, if you follow me, you should know that I’m someone who loves to do thorough research before making any decision. The same applies to my web design. I’ve planned to create my own website when I embarked on my self-publishing journey as an author. Of course, I had to research everything from domain registration, web hosting to web design. In the end, I chose Divi WordPress theme by Elegant Themes after 1 year of research. I have followed them since before Divi 3.0 was launched. Elegant Themes has many WordPress themes (currently, they have 87 themes) but their ultimate theme is Divi. And this is the theme I purchased. Bear in mind that Divi is not a real theme. 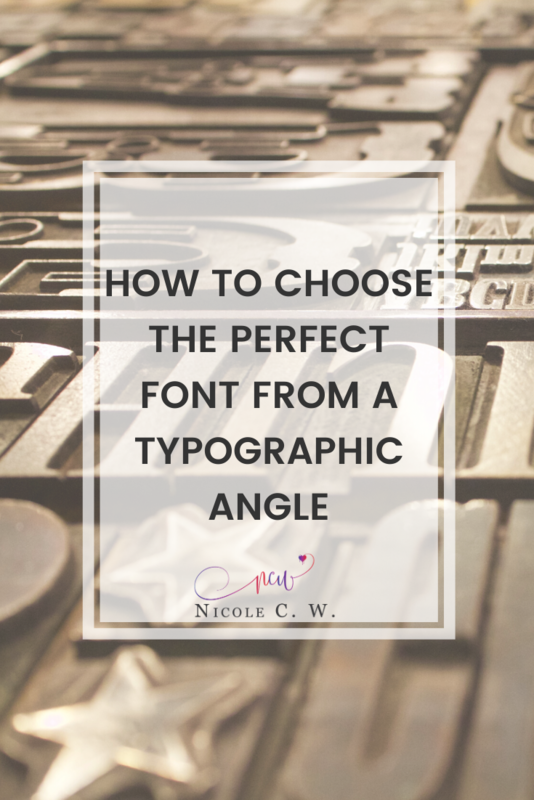 It’s more like a framework, serving as a backbone for your theme. 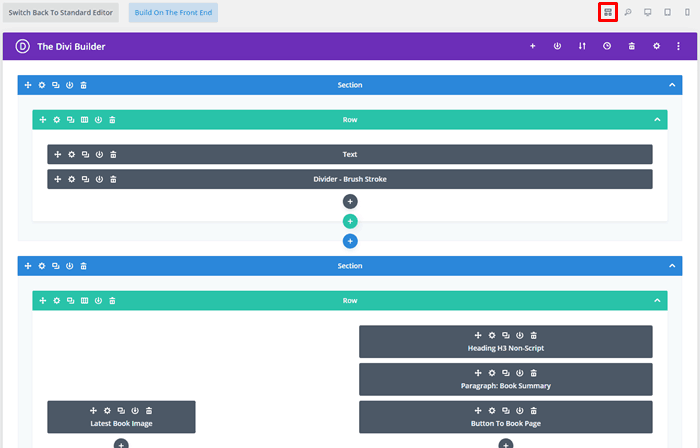 One of the best features of Elegant Themes Divi is the visual drag and drop Divi Builder. This is also known as the WYSIWYG web builder. WYSIWYG is an acronym for “what you see is what you get”. In this case, Divi allows you to see exactly how your page will look like. Honestly speaking, this is one of the biggest reasons I was sold. Divi Builder has other views that are more intuitive where you can see your changes directly on the page itself. This would be suitable for visual people who prefer seeing. The screenshot below is the zoom out view. Other views include desktop view, tablet view and phone view. Watch Divi in action and see for yourself why I fell for the drag and drop builder! 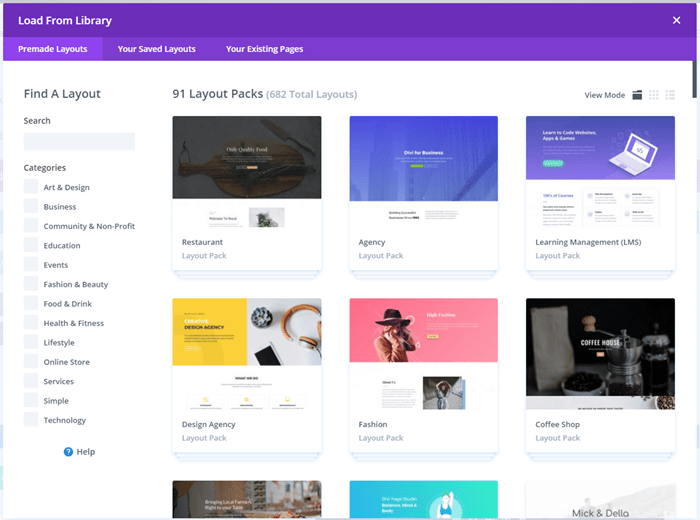 And did I mention that there are 650+ premade layouts right inside the Divi Builder (with new layouts added every week)? Besides searching with keywords, there are also categories like Business, Education and Fashion & Beauty. You can simply load these beautiful designs without leaving the builder~! Just click on the plus (+) icon at the top right corner to load from library. 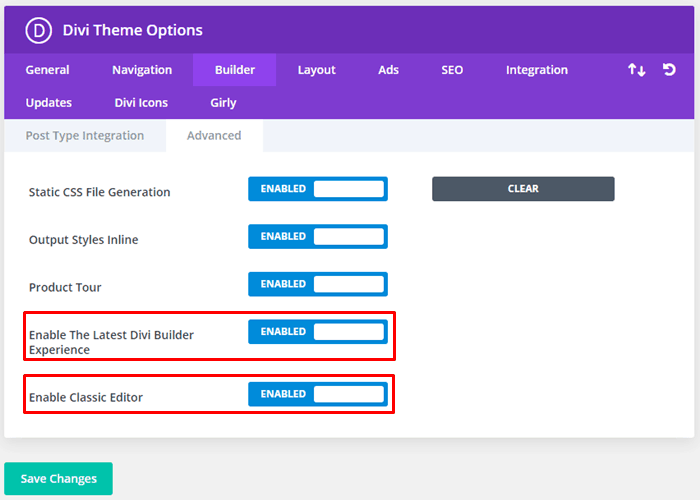 The Divi Theme Options also allow you to enable the latest Divi Builder and WordPress Classic Editor. Simply click on the Builder tab then choose the Advanced settings. This makes it easy for you to get what you want. Take me for example. 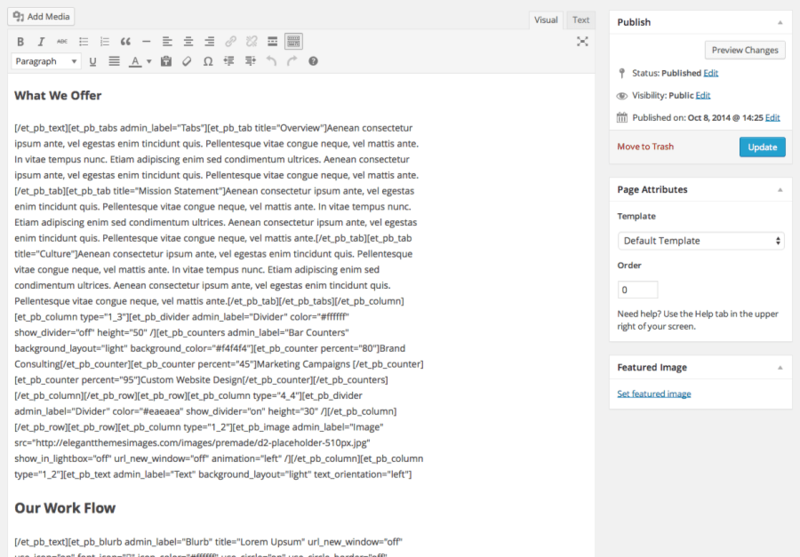 I still prefer sticking to the old WordPress Classic Editor and Divi makes it easy for me to do just that. User experience is a key element when designing your website. Meaning that you should be creating a terrific experience for all users, whether they’re visiting your website on their computer, tablet or mobile. A responsive web design will automatically adjust the layout and content for different screen sizes. Hence, creating the right experience for the right device. Your site, too, needs to be optimized for all screen sizes. It needs to be mobile-friendly with a readable font size. Images shouldn’t be too big or stretch too wide. A horizontal scroll bar is also a no-no for mobile phones. 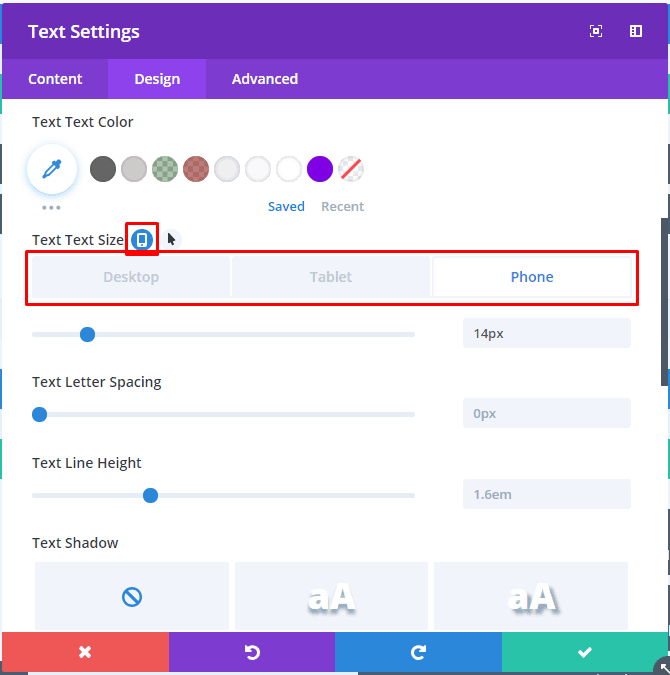 With Divi, you can easily adjust the font size and content width for various devices. You can also view how your pages will look like on different devices (computer, tablet, mobile). There are also specific settings for desktop, tablet and phone. For example, text size, divider height, custom margin and padding. In other words, you can customize almost everything on your site for the various screen sizes. 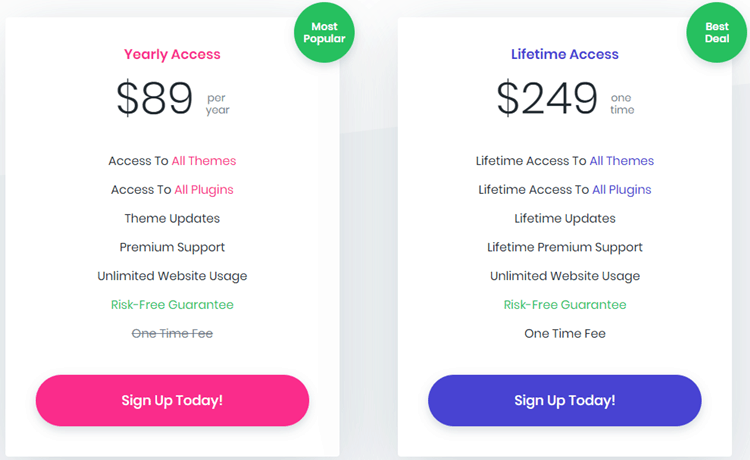 Bear in mind that these 2 plugins will only appear if you signed up for Elegant Themes. Designed to get you more shares and followers, Monarch is a social sharing plugin for WordPress. There are more than 20 social networks for you to display on your site. Add and arrange them accordingly to create a custom social sharing experience for your visitors. You can also place these sharing buttons at various locations (eg. floating sidebar, inline above/below content, automatic pop-up) based on different triggers (eg. timed delay, after commenting, upon % scroll). Plus, you can customize the design so it fits perfectly into your website theme. There are settings such as button shapes, colors and hover effects as well as whether to display network names and social share or follow counts. And of course, Monarch is fully responsive. Where social sharing looks great even on mobile devices. Last but not least, the dashboard allows you to view all the settings, statistics and data. Just look at how I’ve customized my social sharing buttons at the bottom of this post with Monarch. I’m using the same color as my theme to create consistency. Plus, I show the networks that I’m active on like Facebook and Pinterest. Email marketing is increasingly important for businesses worldwide. It allows your message to land directly in your customer’s inbox as well as provide a channel for one-to-one communication with them. 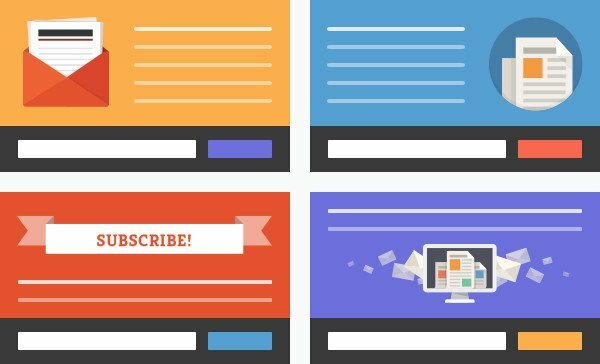 Bloom, a WordPress plugin, helps you to gain more email subscribers. With numerous email marketing integrations, Bloom can easily connect to all of your lists and get information about your subscriber counts. After adding your email account (where the plugin can then pull in your lists), you simply need to create email opt-in forms on your website. Bloom will then add those email subscribers to the specific list of the email marketing software you selected. You can choose from a variety of opt-in types and locations (eg. automatic pop-up, widget, require opt-in to unlock content) based on specific user interaction triggers (eg. after scrolling, after purchase, after inactivity). 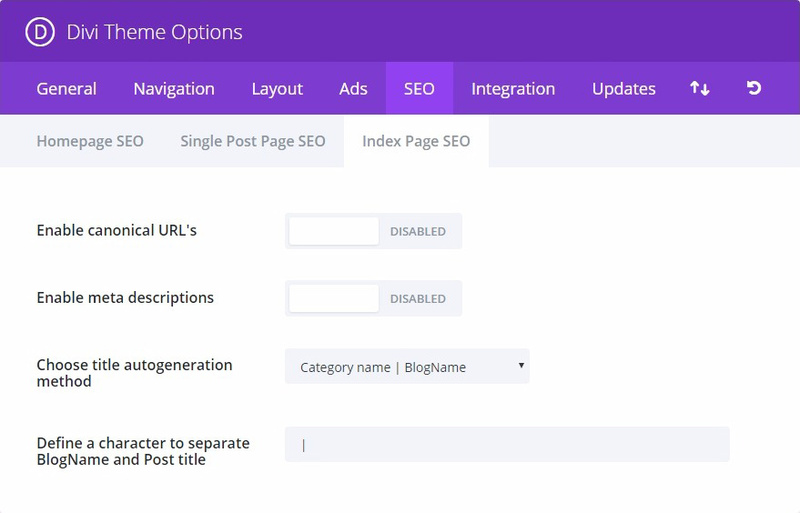 Bloom is also highly targeted where you can target or exclude specific posts and pages. 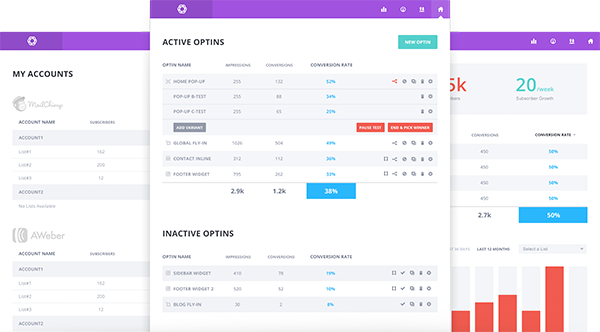 To increase conversion rates, the opt-in forms can be tailored to show unique offers based on visitor location and interaction. 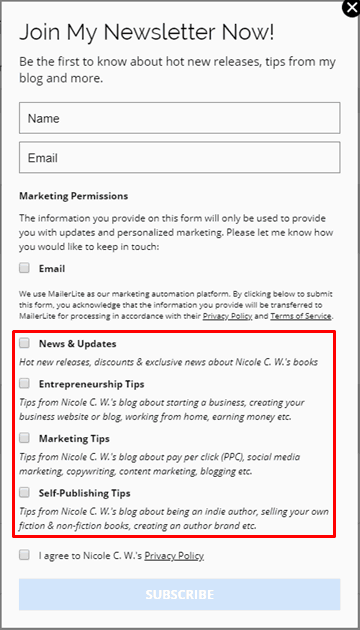 Almost every aspect of your opt-in form can be customized with the design settings. You can start from the 100+ premade templates, customize the border style and adjust the form fields, text content and colors. Opt-in forms will obviously need to be readable and accessible from all devices so you can gain leads, no matter which device visitors use to access your site. Bloom’s forms are fully responsive and look great on all screen sizes. Again, Bloom dashboard lets you see your lists, opt-ins, conversion rates and data all at one place. Do bear in mind that Bloom only allows you to use 1 list. Meaning that people who signed up your form will be sent to 1 subscriber list. 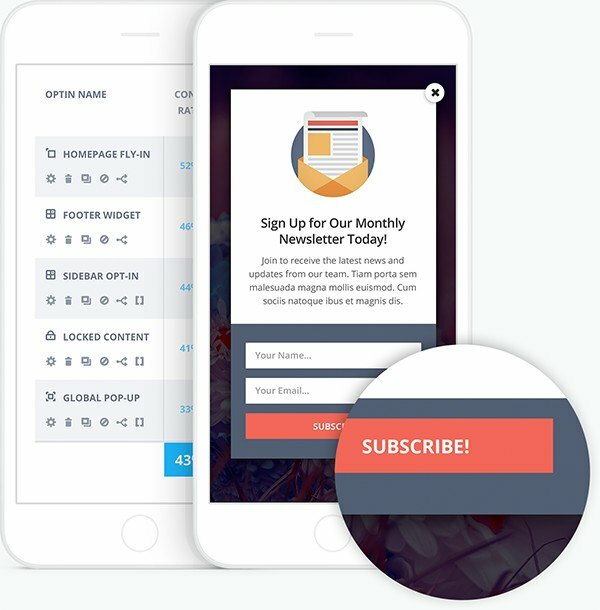 You can’t let them choose which email list they want to subscribe to right from the start. See how I can show all email lists in the MailerLite form but not in Bloom? However, you can solve this by simply pointing subscribers to the choose email list page in the welcome email. Meaning that you create a default email list to collect subscribers who signed up through Bloom. 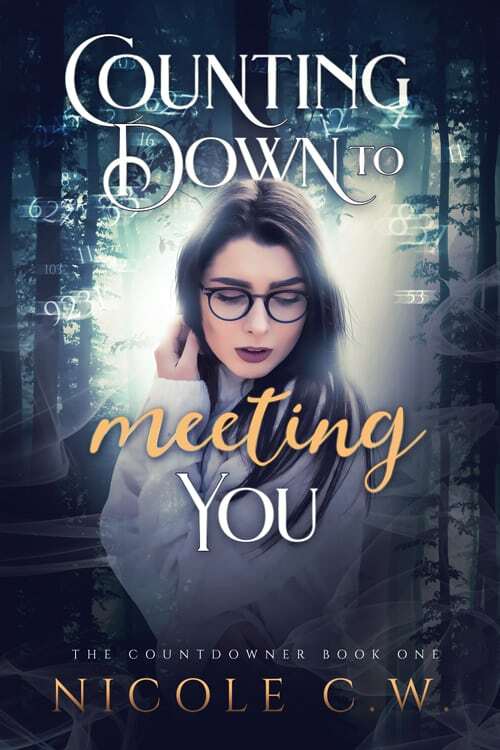 In this case, I created an Everything email list (where subscribers receive all updates, both about my books and blog). 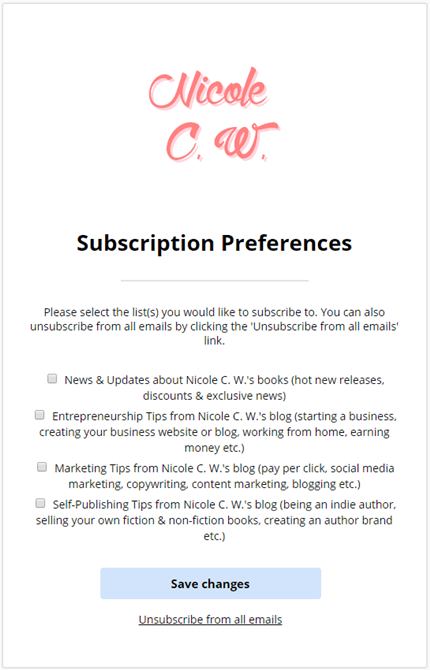 In the welcome email that I send them, I include a link where they can update their subscription preferences and only subscribe to updates they want. In the end, I decided to go with Bloom’s form. As you can see, it’s much prettier. Of course, this is done with the help of the beautiful Girly theme I bought~ Girly is a Divi child theme from Divi Lover. 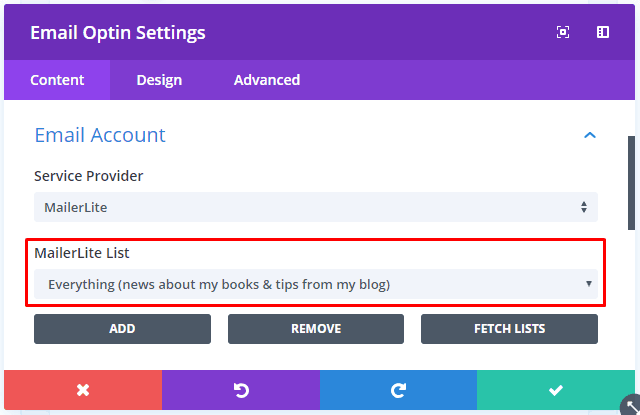 It’s highly recommended that you use a child theme so whenever there are updates to the parent theme Divi, the changes you made to the code isn’t erased. In technical terms, it simply means that all theme files are updated when Divi is updated. So if you made changes to these files, these changes will be erased. A child theme allows you to make changes in additional theme files (instead of modifying Divi’s theme files directly) so when Divi is updated, these child theme files remain unchanged. Just take a look at my individual book pages. They are the same! 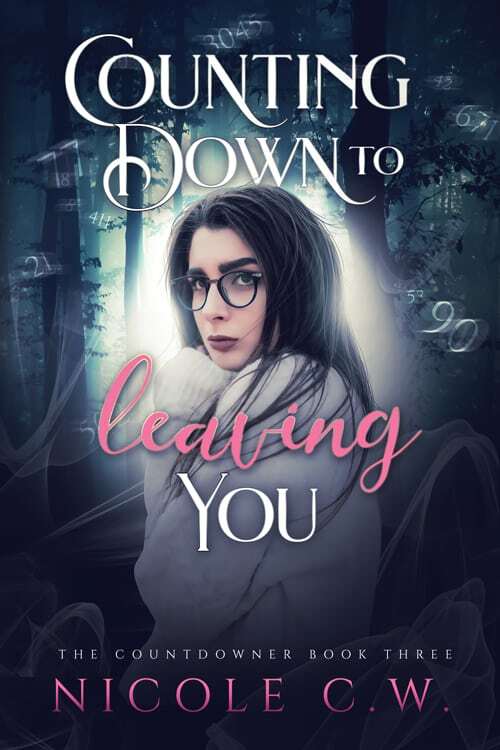 I only changed the book image, title and blurb. Divi Library is another feature that I frequently use when designing my site. 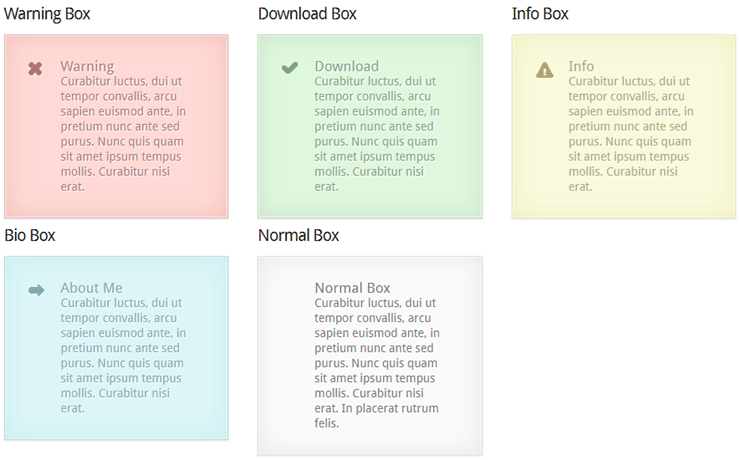 It allows you to save layouts, sections, rows and modules for later use. All I have to do is save the layout to the library then load that layout I’ve just saved to the library. In addition to my individual book pages, I’ve also saved headlines, sub-headlines and body copy. This way, I can duplicate the same font, font size, alignment as well as the customized settings for the different devices (eg. text size 17px for desktop and 14px for phone). I simply have to add these saved modules into whichever area of the page that I need them. Sometimes, I save things temporarily to the library. Like rows or modules for one-time use. Do name them as ‘temporary’ or something similar so you can distinguish them later. You can then go to the Divi Library and select these temporary layouts and delete them. 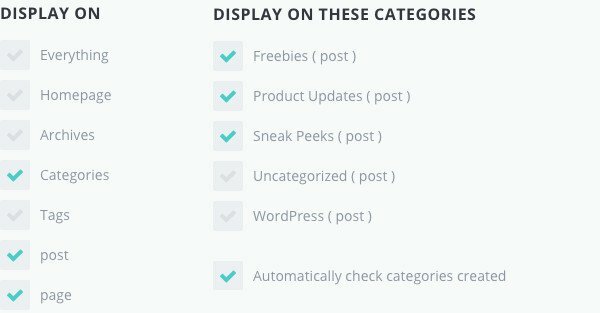 Elegant Themes has created a collection of shortcodes that you can add to your content. This is pretty useful if you intend to spice up your pages and posts. Unlike the usual adding of images, you can add other elements like buttons, slideshows and more. Simply click on the ET Button at the WordPress toolbar and choose from a variety of buttons (sizes, colors, icons etc.). Again, click on the ET Box and choose the box type: Info, Warning, Download, Bio or Shadow. The Learn More Block allows you to add toggled content. You can also choose whether to leave it open or closed by default. List down all the tabs and their content with ET Tabs (in the order you want them to appear). You can also choose to make it a slideshow or image slider. You can include a short write-up about the author with Author Bio. Divi comes with its custom theme options where you can control your logo, navigation settings and more. 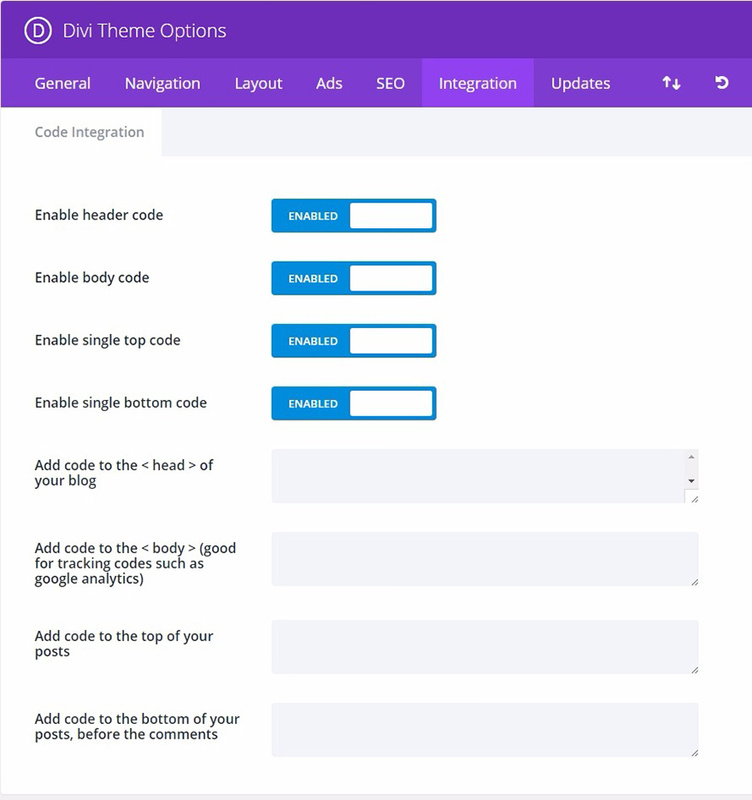 The Integration tab allows you to add codes to the Divi theme. This is great if you intend to add codes like Google Analytics, Google AdWords, Facebook etc. But I highly recommend that you just add one code, Google Tag Manager (which houses all the previously mentioned codes). I really love this feature because I can simply add codes to my site without installing another plugin. And as you know, sites can be compromised due to non-secure plugins. So reduce this risk by installing lesser plugins and plugins that haven’t been updated for a long time. Whether you’re a blogger or business owner, search engine optimization (SEO) is important because it improves your online presence. This is where you optimize your site so that it ranks higher on search engine results page and thus, driving unpaid organic traffic to your site. There are many settings that you can adjust in the SEO tab. This includes everything from canonicalization (prevent the indexing of duplicate content by search engines, where you tell search engines that a specific URL is the master copy) to the smallest detail of defining a character to separate the blog name and post title (| and – are the most commonly used separators). Do check out the Ads tab too. 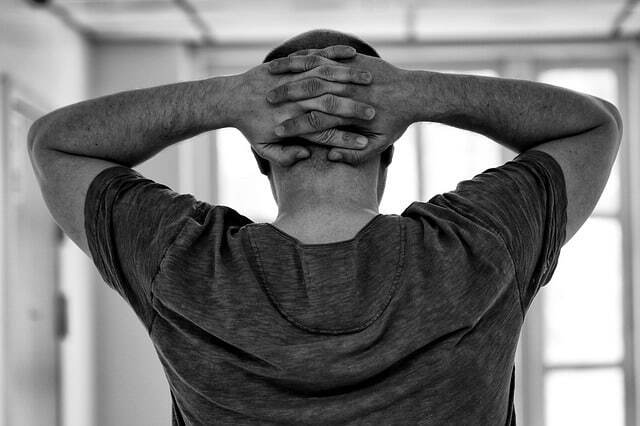 Whether you’re a business owner, entrepreneur or freelancer, I highly recommend that you enable the 468×60 banner on the bottom of your posts. You can place your own banner here to advertise your business. Whether it’s getting a quote, consultation or trial. Just highlight the most important call-to-action (CTA) where you specifically tell your audience what you want them to do. This should obviously be the most valuable actions you want them to take such as buying your product or service. 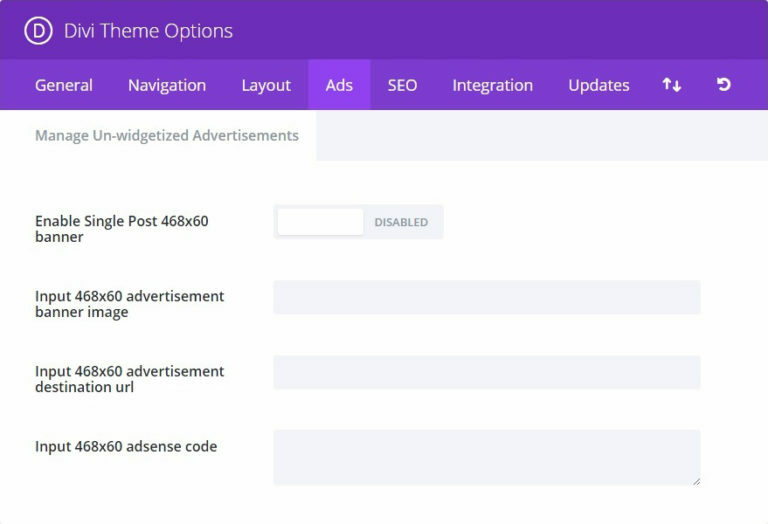 If you’re a blogger, you can also input the 468×60 AdSense code. This is crucial, especially for bloggers who monetize their blog with Google AdSense. You need the code in place to start earning money. Okay, enough with the features, let’s move on to something practical…. the price of this Divi theme. You can use the themes from Elegant Themes on numerous websites. Due to their unlimited website usage, you aren’t restricted to only use the themes for one website. 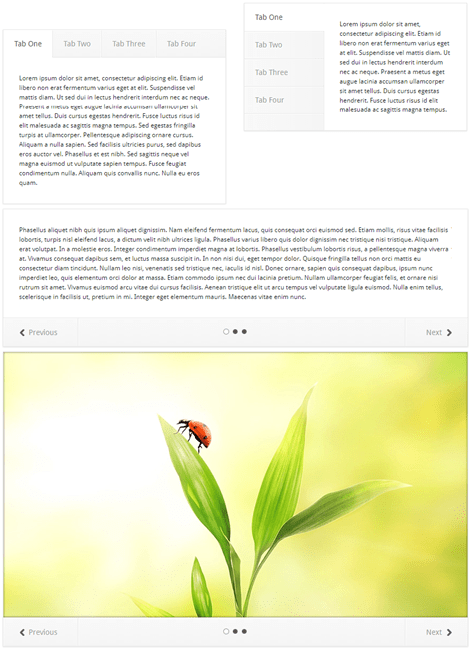 There are also theme updates where Elegant Themes is always working to improve their designs. I don’t know about you but I feel that there’s a lot of value packed inside their membership plans. Hence, due to this immense value for money, I purchased the lifetime membership. 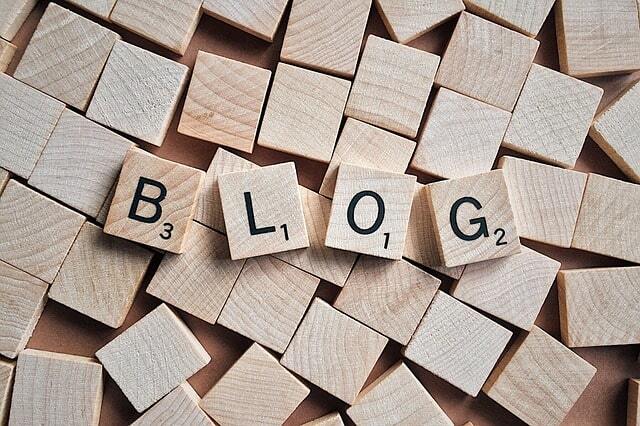 Lastly, Elegant Themes has a blog in which the team publishes new posts every day. 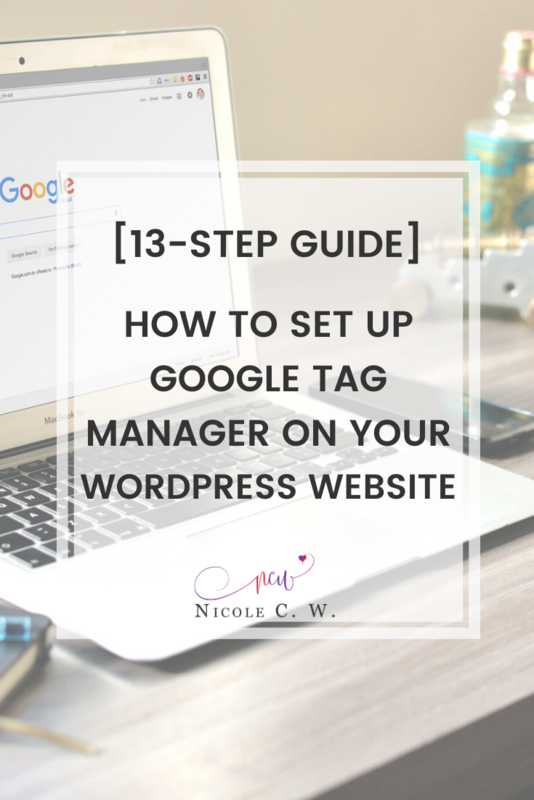 Their blog includes tip and tricks as well as FREE layouts. You can also learn about web design, WordPress, CSS, Divi hacks and more. As mentioned, Divi is only a framework. You still need to install a layout. And this is where the free layouts come in. You can simply use the free premade layouts that Elegant Themes offer in their blog or the Divi Library. Or if you need a helping hand to create a beautiful website, you can consider getting a premium layout. Just like I did (I’m a writer, not a designer =.=). I’m currently using the Girly theme from Divi Lover. 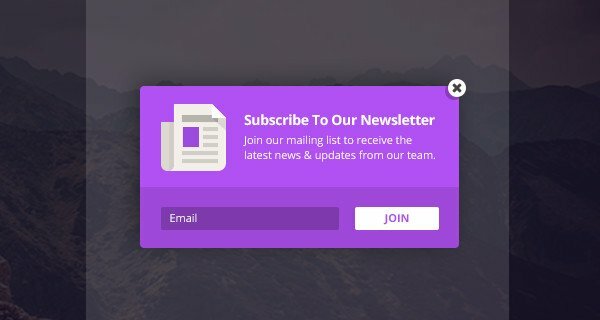 So when I was researching about Elegant Themes Divi, I came across this article which states that you either use Divi forever or don’t even install it in the first place. This is because if you decide to change the theme and not use Divi anymore, you’ll leave behind a bunch of messy codes. Also, bear in mind that Divi is a heavy theme which tries to do many things at once. Hence, it’s very bloated (much like bloatware in android phones which refers to apps that come pre-installed on your phone and although they’re harmless, they use up storage space and RAM, adding unnecessary bloat to your phone’s system). Divi’s long strings of code slow down a website (and page speed is increasingly important in today’s world of short attention spans). I highly encourage you to read the article where the author explains his reasons in great technical detail. You need to fully understand the cons of Divi before deciding whether Divi is suitable for your website. 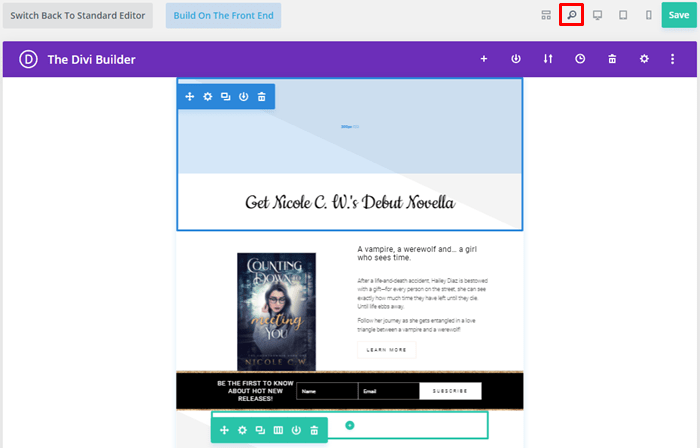 In fact, this article enlightened me to use Divi Builder only for pages and not posts. This way, if I ever change theme, I only have to clear up the messy codes left behind on my pages (and not the numerous blog posts). Though Divi allows you to do many things, it’s still quite limited and restricted in the sense that everything needs to follow this given framework. If you’re a professional web developer or designer, maybe you can do more with CSS or any other programming language. Where you aren’t limited or restricted by Divi. Okay, so I did ask my sister for some CSS help. Quite a few times too :/ So much so that she started asking why I needed so much CSS when Divi was supposed to be able to do everything. And hence, she doesn’t understand why I bought this theme. First, let me clarify the CSS I’ve done. I admit, some of them are due to my nitpickiness so you might not even need CSS for such things. 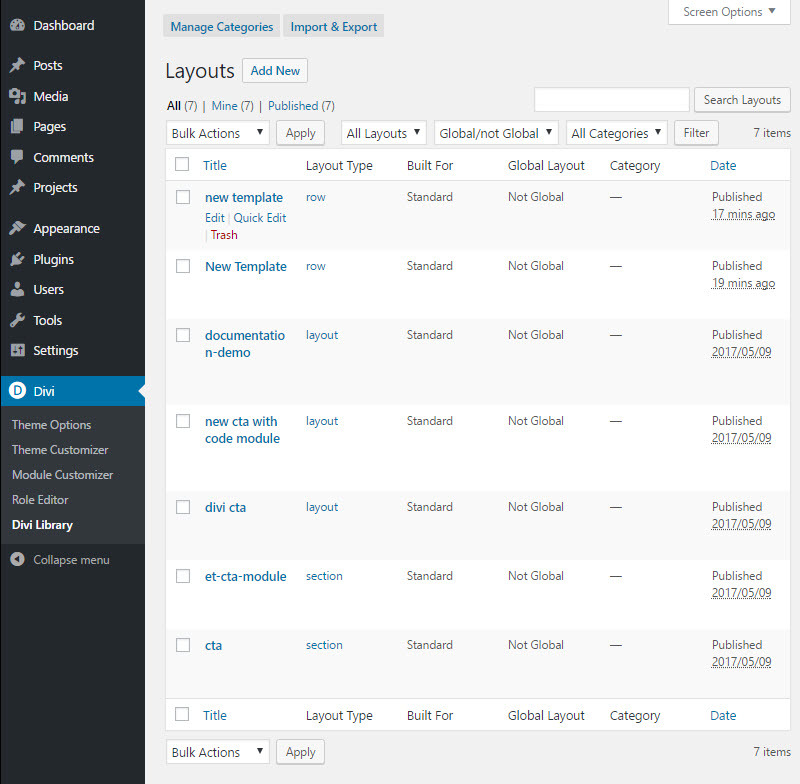 However, these are things that both WordPress and Elegant Themes Divi do not allow me to adjust. There are no settings for me to toggle. As you already know, I’m not a web developer or designer or programming language whiz. 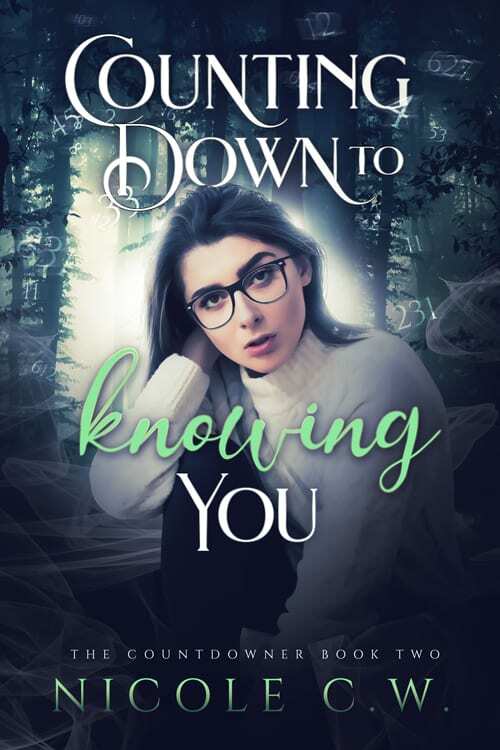 I’m just an author who needs a website to house my books and a blog to note down all my experiences, learnings and ramblings. Thus, I don’t mind being limited or restricted by this Divi framework as long as it serves the purpose of creating a user-friendly website and blog. Due to Divi’s countless features, there are many things you need to learn. Everything from understanding the various building blocks (sections, rows, modules) to using Monarch and Bloom. This could be a steep learning curve for those who are not familiar with web design and marketing. 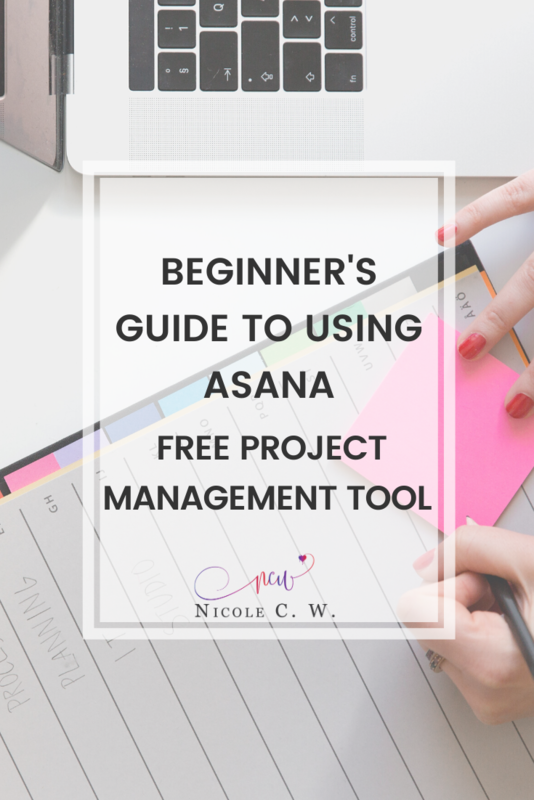 Of course, you don’t have to use every single feature but it’s still best to know all of them and learn how to use these features (just in case you need them in the future). For me, I don’t mind learning all this since I’m trying to make my site better. Plus, I love learning new things. 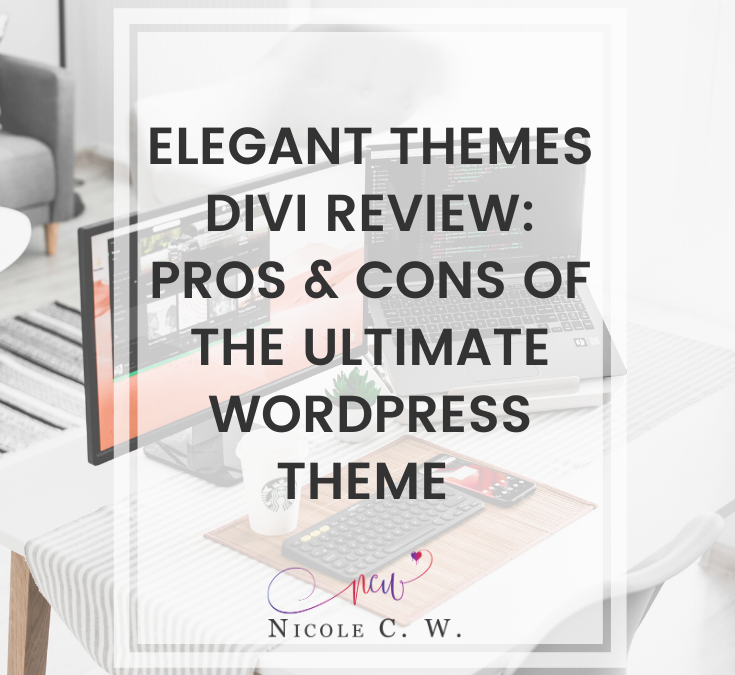 You need to weigh both the pros and cons then decide if Divi is suitable for your website. For me, the convenience of the visual drag and drop builder and the countless amazing features I will gain outweigh the cons of a slow and bloated site. But really, you have to think this through and consider all aspects. If you’re a Divi user too, do share what you think of the theme. Which aspects do you love? Which aspects do you dislike?